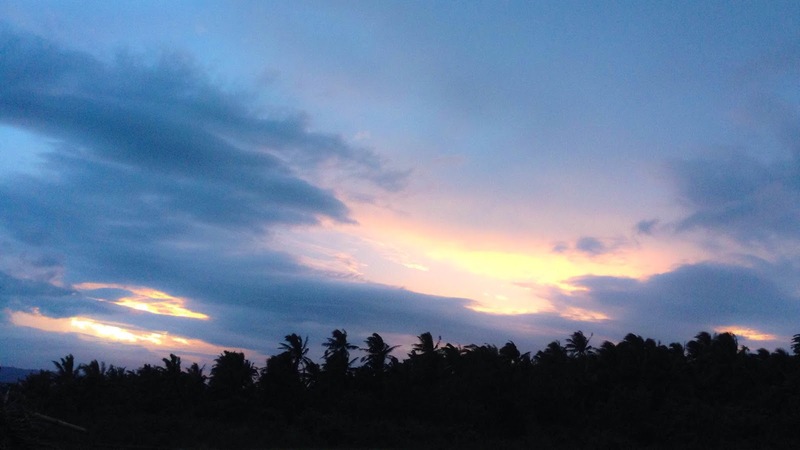 Welcome to the first part of my Bicol travel diary! I had always wanted to give this region a visit since learning about it in first grade, and even more when I'd found out in college freshman year that Steph, one of my dearest friends, was from there. I don't really know why it took 3 years to make happen, but during the Christmas break of 2015, Bicol finally became one of our prized barkada trips, easily filing itself under Best College Memories. Just an hour away from Manila, my darlings, Aaron, Denise and I met up at the crack of dawn to catch an early flight over. Steph, who had flown in a few weeks earlier, picked us up at the Legazpi airport and then had us settled in their guest house. After taking the quickest rest and a much-needed brunch, we immediately made our way out for an adventure-packed first day! 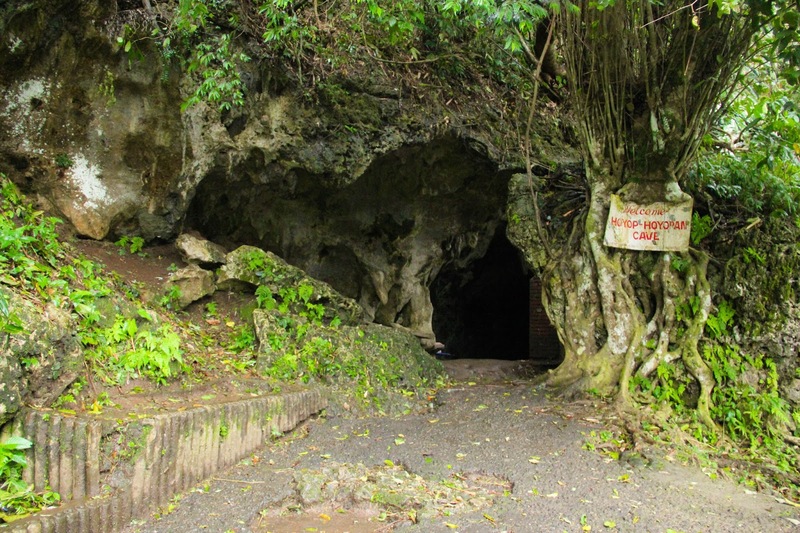 First stop: Hoyop-hoyopan Cave in Camalig, Albay. Camalig is relatively near Legazpi, where we stayed. Throughout the drive there and to the rest of the places we went to, the damages that Typhoon Nona had recently left the region were very much hard to ignore -- trees were fallen to the ground, most of the fields were drowning in water, and the sky was as gloomy as we had hoped it wouldn't be. But despite the sadness we felt for the local community and our disappointment in the weather, the energy in the car remained summery and the enthusiasm to experience Bicol never once lessened. Compared to the other caves I've been in, Hoyop-hoyopan featured a consistently cool temperature all throughout. I really enjoyed looking at the stalagmites and stalactites that it's very known to keep, but more than anything else, it's learning about the small pieces of Bicol's past, reflecting on how they made their way to Philippine history through each existing and mystifying rock formation, that got me stepping out of the cave feeling accomplished for the first stop. While I still hope to get the chance to fly to Bohol to see the famous Chocolate Hills (and the tarsiers!) 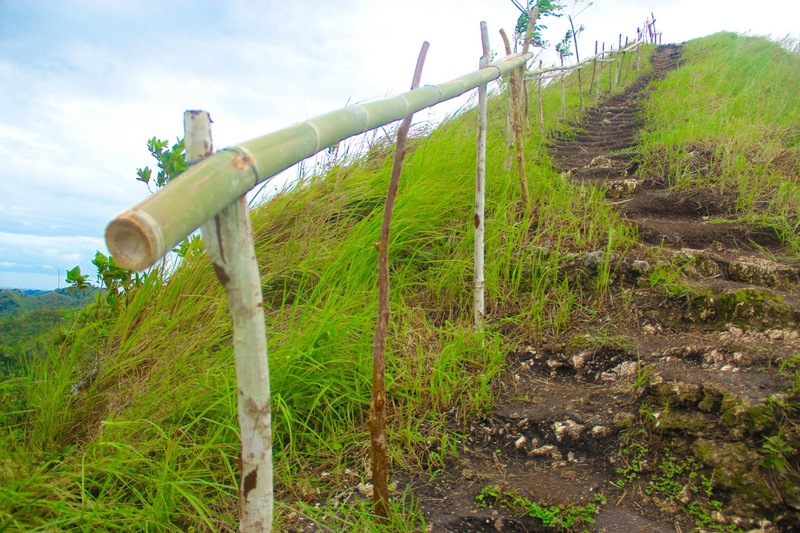 soon, I took Quitinday Hills, Albay's very own version of them, as a trial experience. 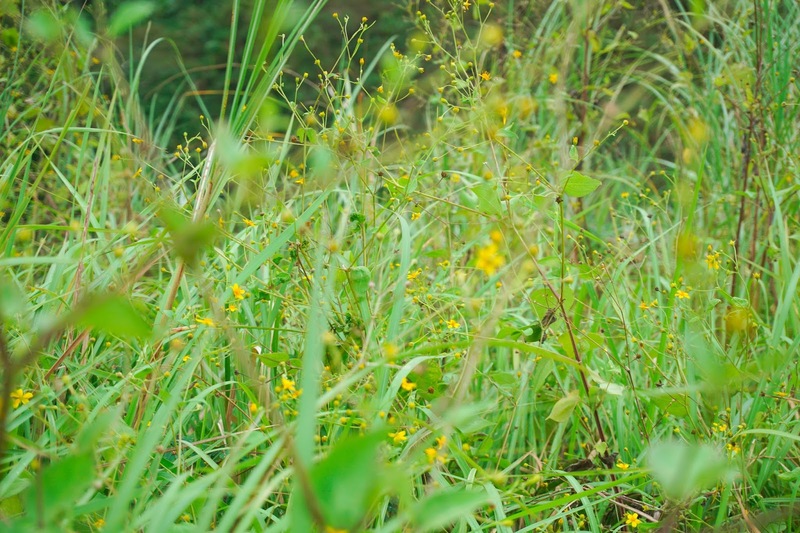 Also in Camalig, it was surprising how hard the place was for us to find. Our driver would ask every other guy we met on the road for directions but that somehow only led us driving an area back and forth! However, after a rather bumpy road trip through what seemed to me like a jungle, we finally made it to destination #2! 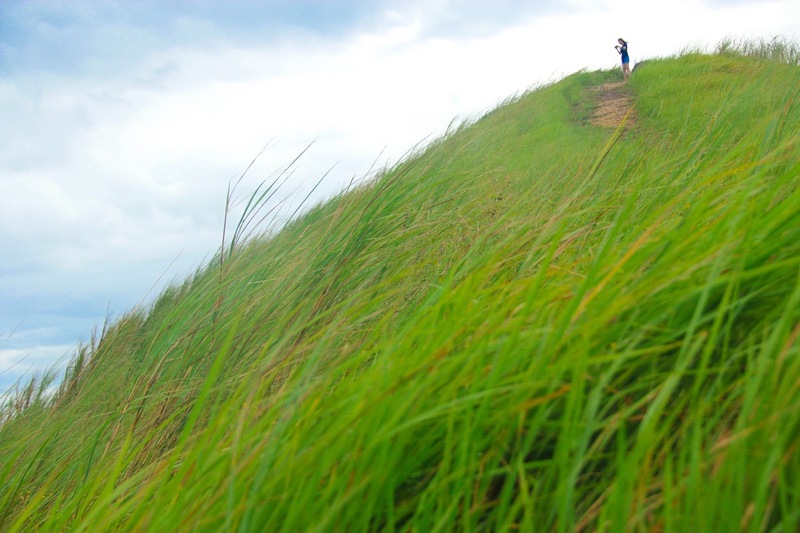 Thankfully, the rain had already stopped before we reached the Quitinday Hills Nature Park. Before we proceeded to climb up, we were warned that the hike would be a bit of a struggle because of the soft and muddy ground. They also made sure that we were properly prepared in case it rained again before they let us go. And the kuyas guarding the park were right -- the climb really was dangerously slippery! So once again, please do not forget to pack your best pair of ground-gripping shoes to avoid unnecessary accidents. Being atop was reminiscent of a cool Tagaytay weekend. Although I bet the view would have been lovelier and greener on slightly warmer days, the cluster of lumps that were the Hills was such a delight to see! I hadn't been surrounded by so much blue and green in so long! Frankly, I couldn't help myself from singing "My Humps" the entire time we were up there. We didn't get to stay long as we were running behind schedule, so after some obligatory photoshoots and taking our own personal moments to take in the view, we took off for the last of the agenda for the day! Okay, I'm just going to go right out and say that this was undoubtedly, the best part of our entire trip. 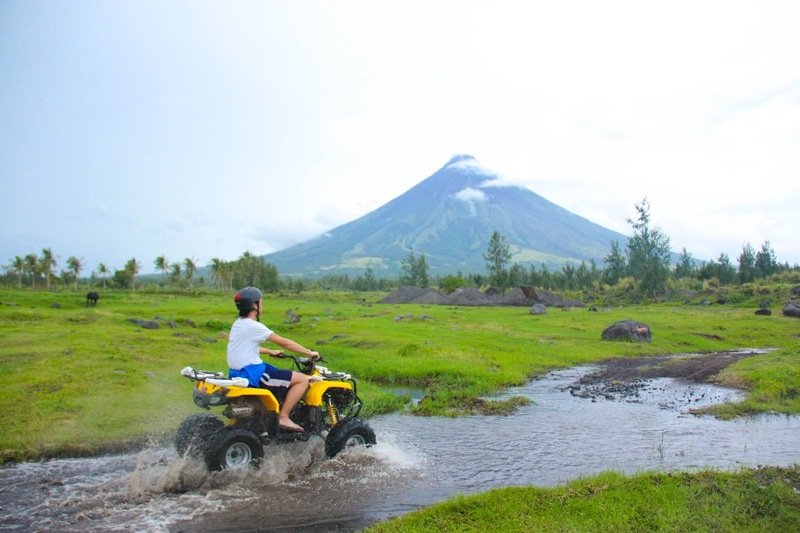 A couple of hours before sundown, we hopped on an ATV tour to the foot of the beautiful, iconic, and majestic Mount Mayon. 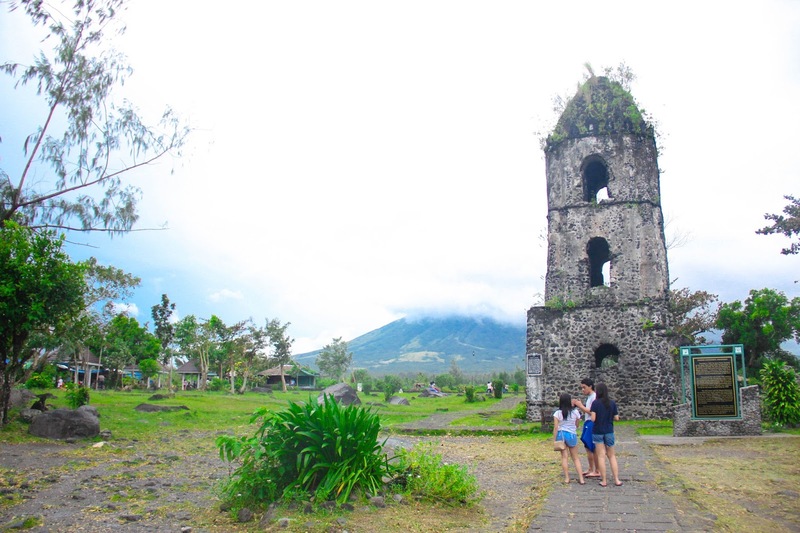 But before that, we first paid a quick visit to Cagsawa -- the baroque church built by the Franciscans during the Hispanic occupation, the same church you'd always find against Mayon in a classic postcard photo of Albay, Bicol. I guess I can also say that this was a childhood dream come true! I couldn't believe it; I drew this thing multiple times for History or Art projects throughout elementary school, and there I was, completely lost at the sight of its beautiful ruins in real life! I don't think I have the words to describe the experience as perfectly as I want to. But the ride along the gullies and deep into the forest -- crashing streams, catching mounds of mud and dewdrops on our shirts, calling every cow that I passed "baby", and getting exposed to the livelihood of the Bikolanos that reside around the country's most active volcano -- every bit of it was just exhilarating. To be honest, I felt like a character from Temple Run. And just when we thought things couldn't get any better, it started to get dark and water slowly began to pour from above! We reached the foot of Mayon, shivering, but having to be just a few kilometers away from its perfection made it all worth it. If you're Filipino, you'd think those childhood years of seeing pictures of it in textbooks were enough to give you a sense of just how breathtaking Mt. Mayon was. Boy, was I terribly, terribly wrong. Because the whole town of Albay, as I've said, was struck by a typhoon just a few days before we went, they had to reroute the way back for a safer travel. Despite having two guides with us, this only caused us to get lost, and happily stay lost on the tour for over an hour! So, tired, cold, drenched and starving, we ended our first batch of adventures in Bicol with golden smiles... and a winning appetite. There's still a handful of other things that we did during our trip, so stay tuned for Part 2!